Buying your first house is a big deal. It's a milestone for many. It's the kind of thing that will make you buy a six-pack of something nice instead of PBR because you're obviously an adult now. While you probably won't move to another city based on home prices (or maybe you will), it's good to know what you're getting into. WalletHub has conducted a study to rank the US's best and worst cities for first-time home buyers in 2017. The site's experts ranked 300 US cities in 23 categories that included a load of important home-buying factors, like the cost of housing, rent-to-home buying price ratio, cost of living, real estate taxes, and home energy costs. Inside the study, you can hone in on each city's ranking in specific categories. That's useful because individuals may prioritize these categories differently than the experts. You may also value other factors that aren't included here, such as access to public transportation, proximity to cultural events, or proximity to doughnuts. To each their own. Within the categories, you'll get interesting breakdowns like how Fayetteville, North Carolina has the most affordable housing of these 300 cities. Honolulu has the lowest taxes, but it also has the most expensive home energy costs. 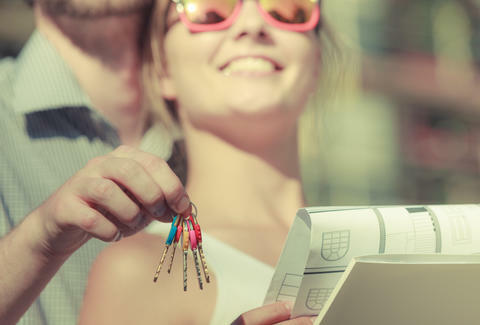 Here are WalletHub's 10 best cities for first-time home buyers. And here are WalletHub's 10 worst cities for first-time home buyers. Additionally, the site breaks its list into small, midsize, and big cities, which might be more valuable if you can't picture yourself living in a city smaller than Boston or larger than Woodstock. Here are the site's 10 best big cities for first-time home buyers. This is far from the only study of this kind out there, if you want a second opinion. SmartAsset.com, for instance, did a similar study earlier this year. That one focused on large cities and had Pittsburgh on top. Though, many of the same cities pop up, like Oklahoma City, Omaha, Colorado Springs, and Fort Worth. Zillow also conducted a study earlier this year. Its list was topped by Memphis, Tennessee. However, it also included Oklahoma City, Tampa, and Fort Worth in its top 10. Dig deeper into WalletHub's list and categories here, then pack your bags for rural Texas.